Rustic Oak Crown Cut Aged veneer is a luxury wood. This surface is a semiprecious veneer for special purposes. Its general tone is colourless. Thanks to this, it fits perfectly to commercial spaces where combining colours might be a problem. This reference also has a glossy surface, being the perfect choice for unique furniture and spaces that aim to get distinction. The natural presence of knots and burls makes different every bundle making this product unique and exclusive. This beautiful log that we show is in a class by itself. It is a Oak Crown Cut that has been artificially aged to reach an original and exclusive look. Therefore, the log has been previously selected to avoid the presence of sapwood and to present as much knots and burls as possible. 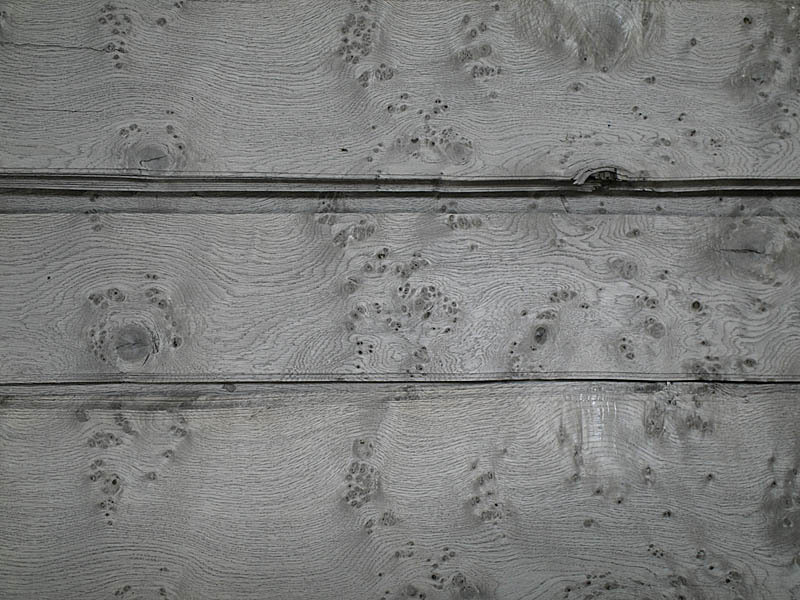 The result of this selection is a rustic appeal: a decorative surface full accidents and eye catching elements. After that previous selection, the log has been aged. 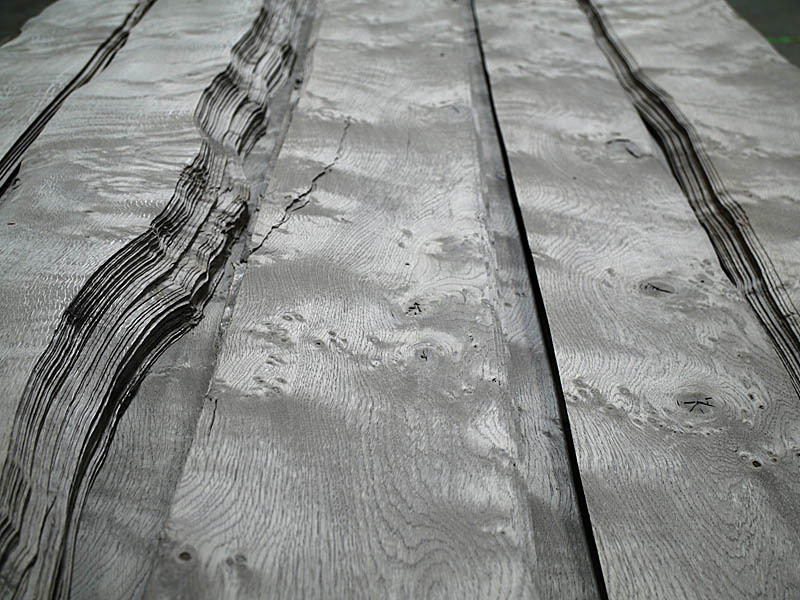 The natural warm tone of wood has been completely lost and transformed into a unique silver grey tone. 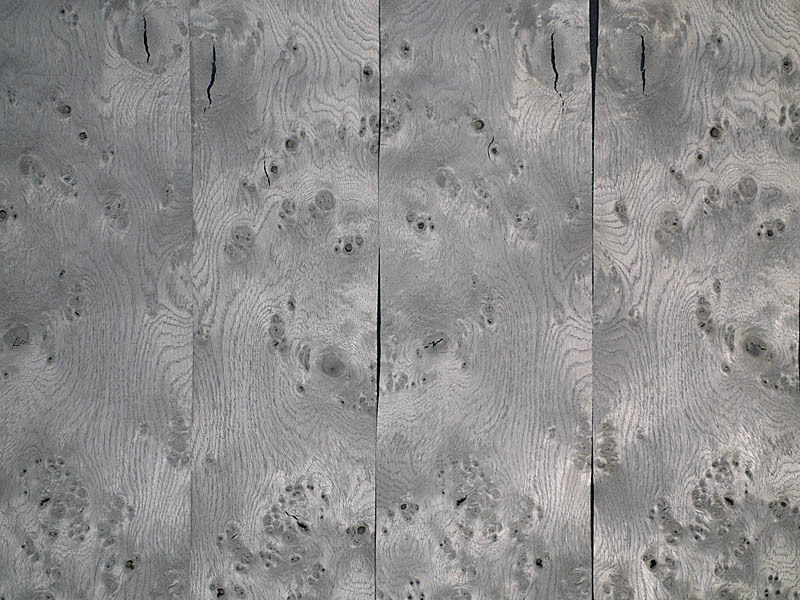 The final oak surface is colourless and has a glossy surface, just as if it had been exposed to the sun and the rain during a heavy winter. This modification is the result of a technical process developped at the industrial facilities of CHANNEL VENEERS. CHANNEL VENEERS offers this special reference to its best customers. 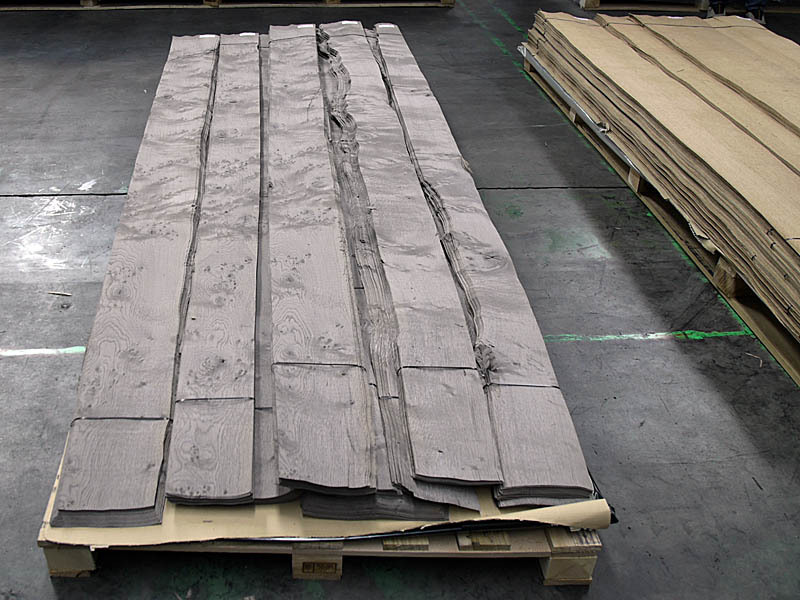 As the final pattern depends from vagaries of nature, the real look of the final boards made with this rare reference strongly depends on the log. For further information related to aged veneers and rare logs, please contact directly with the company.